At Flaxton Gardens we love to showcase the work of our local Sunshine Coast artists in our Vineyard Restaurant as often as we can. 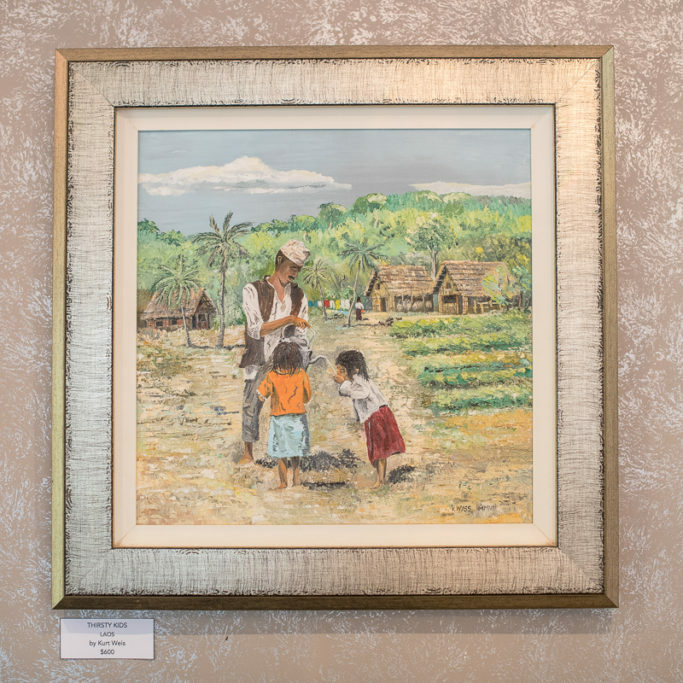 Our current Art Exhibition is showcasing the lifetime work of Swiss painter, Kurt Wyss. 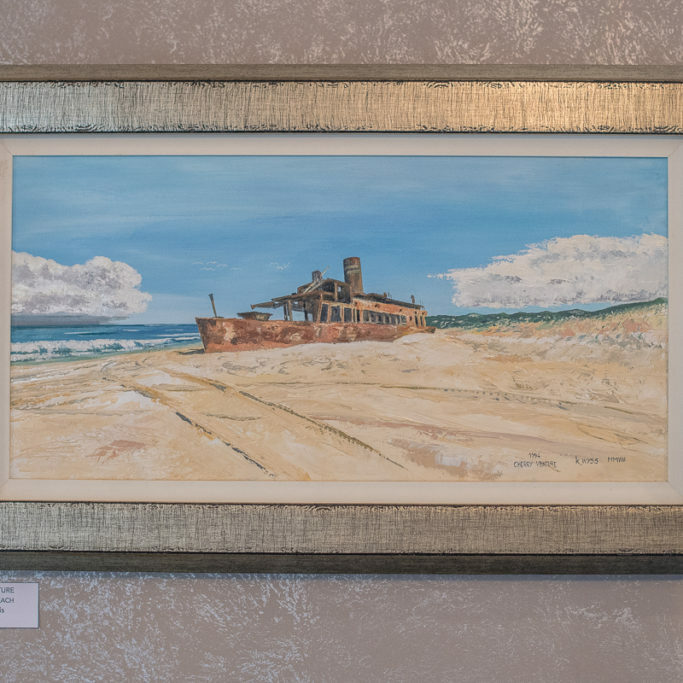 Kurt’s work will be on display for a limited time, so don’t miss your opportunity to see it whilst enjoying a meal at the Vineyard Restaurant. Born in 1935, Kurt began painting during his schooling years in Lüsslingen, Switzerland where his art teacher noticed his potential and encouraged him to pursue visual art further. Painting had always been a hobby and method of relaxation throughout his youth, whilst completing his apprenticeships as a mechanic and locomotive driver, and then working as a train driver for 30 years. However, in recent years he has been able to devote more time to his vocation. 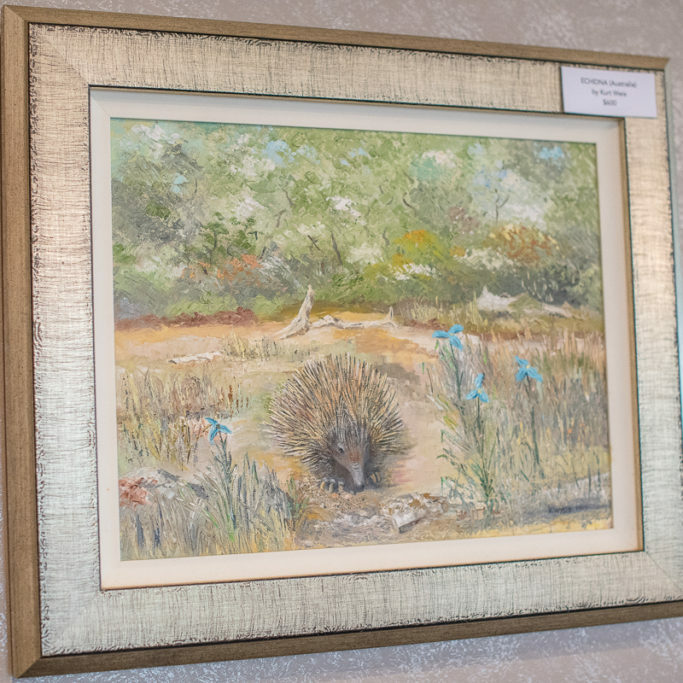 During his artistic career, he has accumulated a diverse collection of artwork, some of which can now be viewed at Flaxton Gardens. 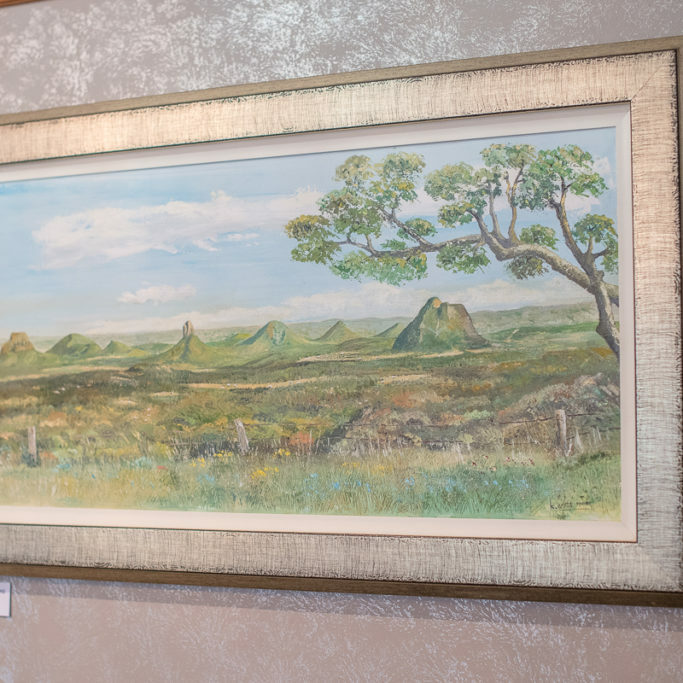 Never previously exhibited and never intended for sale, Kurt’s main aim is to bring joy to those viewing his paintings. When I start, I see the finished picture. I never stop until it’s perfect. It has to be perfect, otherwise I’m not happy. Kurt has lead quite a diverse and fascinating life, with many wonderful opportunities that have influenced his subjects and artistic style. Following a chance meeting with a German entertainer whilst cruising the Mediterranean, Kurt subsequently developed a lasting friendship, and was asked to travel as his assistant while cruising the globe. They travelled as far as Norway in Northern Europe to Buenos Aires in South America and to the Caribbean. This partnership lasted for an amazing 12 years, with Kurt often acting as an interpreter for his friend due to his multilingual skills. Kurt was also a very keen sportsman, participating in sports such as Hornussen, also known as ‘Farmer’s Golf’ – an indigenous Swiss sport with many similarities to golf and baseball. After moving to the southern Switzerland town of Arbedo-Castione, near the Italian border, in his early adult years, Kurt took part in another favourite sport – Indoor 9-pin Bowling for 35 years, achieving the level of Swiss Champion five times! Kurt’s artistic flair was also demonstrated when he designed the medals for these competitions. This is only a taste of his many endeavours and accomplishments, which have played roles in awarding him with success in his artistic career. 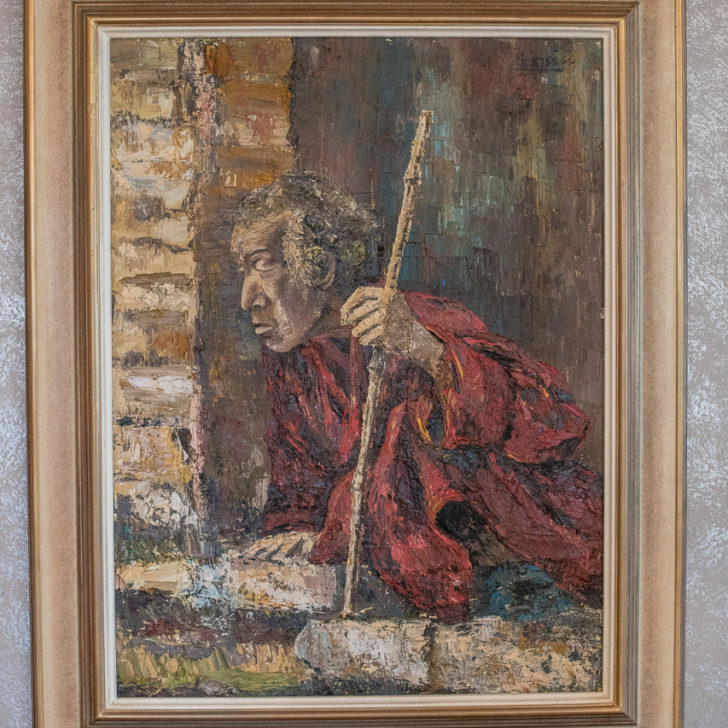 Having painted continuously since 1954, he continues to paint today from his art studio in Palmwoods – which is actually a self-constructed Atelier in his backyard. Although, he notes jovially, “You have to be in the right mood,” to create. 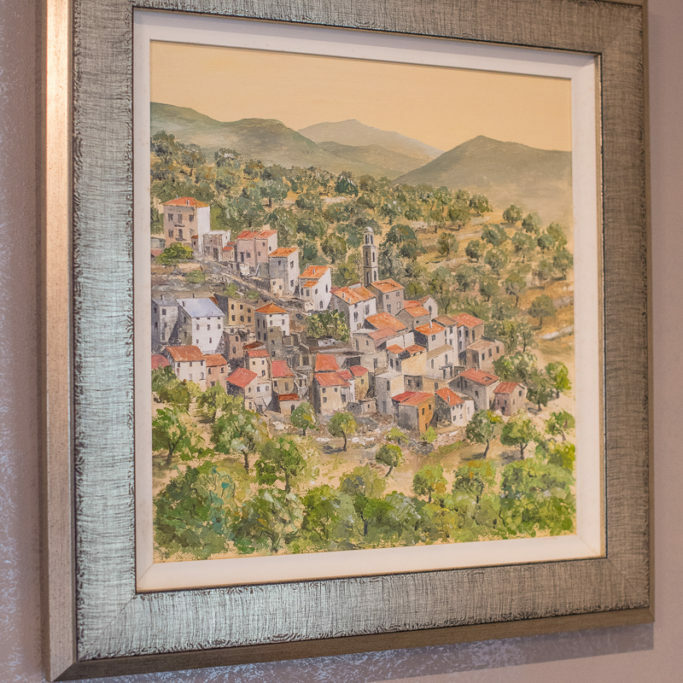 Kurt loves to share his many life and travel experiences through his paintings; in fact, his favourite piece documents his travels with scenes from the countless countries he has visited (pictured). You too can experience the life of Kurt by viewing his enthralling artwork at The Vineyard Restaurant at Flaxton Gardens. Come on up to the Hinterland and enjoy lunch, dinner or an exquisite High Tea and immerse yourself in the artwork on display.